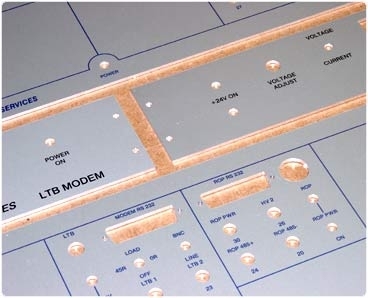 2G Products create a wide range of durable aluminium panels for various devices and control systems, and each and every one of our US-020A Anodised Aluminium panels are machined precisely to our client’s expectations, while they’re scratch proof and solvent resistant too. 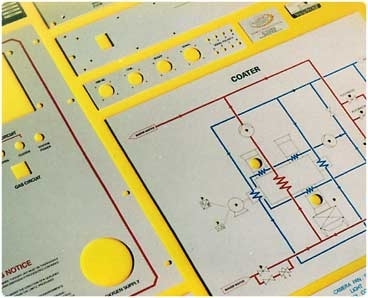 No control panel is complete without one of our US-020A Anodised Aluminium panels, and we have various thickness levels to choose from, up to an overall size of 2 metres by 1 metre. Our skilled team will dye the metal during the anodising stages, and that means the print you require, such as logos, text and legends are skilfully placed 20 microns below the anodised surface. 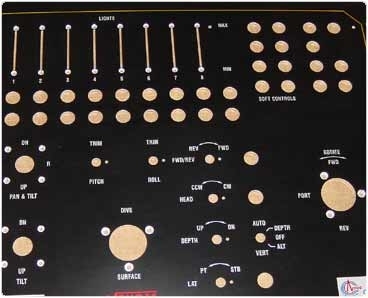 Every element of our aluminium control panels are CNC machined, so your crucial components will fit well, while US-020A Aluminium offers resistance of up to 15 years externally. Our US-020A Anodised aluminium panels are suited to a wide range of industries using precise electronic applications, and we take pride in producing resilient industrial aluminium panels that are built to last, even in incredibly harsh environments. We can also provide panels for a range of demanding industries including marine and transport among others. All our panels are manufactured in-house in a range of thicknesses. Rack Panels, Mimic Panels and Fascia Panels. Panels C.N.C. machined for your components to fit. 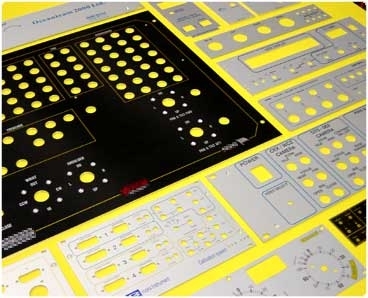 The Rack Panels we provide are always built to our clients’ exact requirements and we make it our duty to ensure that they are accurately designed, cut to size, and fit for purpose. We regularly make 1U, 2U, 3U, 4U and 6U rack panels, yet we can design and create panels for tall server systems up to 50U. Once we know exactly what you want, our team will start work to make sure your build is completed efficiently and accurately. 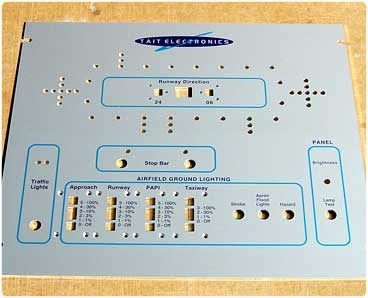 2G Products will make sure your specially made rack panel is scratch and solvent resistant, whilst we can integrate text and graphics onto your panel, such as a business logo or component labels. For more than 23 years our team has been manufacturing custom rack panels for a wide range of devices and systems, while we also have many years of experience modifying our clients’ existing chassis and drawer chassis units as well as their chassis components and accessories. The changes we can make to pre-built chassis can include extra air holes, additional chassis and further shelves. No matter how small, tall or complicated your server operating system is, 2G products can create the most suitable rack panel for you.